Book Status: Received revision letter from Ted! 2. Add 5,000 different words. 3. Lane rocks the casbah. Newt Status: Hints to Sam about the Mac Notebook seem to be working. Newt is threatening to take hostages if we go through with replacing him. So don't tell him. (Don't worry. He doesn't read my blog). How do we communicate you may wonder? Okay, okay. I'll admit it. I serenade him. Normally, as New Year's eve approaches, I like to reflect (obsess) on all of the resolutions (impossible goals) I made last year, and assess (tear my hair out) how many were reached (big fat zero). Then I sit and ponder (wallow). 2. Didn't fall off the organ at church. I play the organ for my church, and in 2007, after what I'm assuming was a very thorough wax job (on the organ, not me) I actually slipped off the seat and fell INTO the organ. Like into the keys. 2008: I remained upright, on the bench. Yes, believe it. For two weeks during the summer, I didn't have a drop. (Have any of you seen "A Room With a View"? Lucy Honeychurch plays one particular sonata on the piano in her little pensione in Italy. I've been looking for the sheet music for literally 15 years. Seriously. And last month, as I was patiently awaiting my revision notes, I FOUND IT! Thus bringing my madness full circle). For 2009, I will begin the search for Lucy Honeychurch's corset, and in 2010, I plan to faint shortly after witnessing a knife fight. 5. Cured Pancreatic Cancer. Okay, okay, I really take absolutely no credit for that, and have nothing but gratitude for those responsible (Dr. Mulvihill and crew). If I could take any credit, it would have been number one on my accomplishments. But my dad beat the odds! He literally beat the odds! He grabbed those odds, and kneed them in the groin, and then hung them by their fingernails. For such a gentle man, it was truly a sight to behold. 2009: Here's hoping all of you will be able to knee your own odds in the groin! I know I will be kneeing mine! Newt Status: Unfortunately Sam disregarded my hints about getting me a Mac Notebook for Christmas, so I'm going to have to take drastic measures. Anyone know a good hitman/computer-whacker? So how do you exhibit stress? Me, personally, I wear my stress on my face. I grow a pimple-tastic zit beard, and a herpe-licious cold sore mustache. And then, to add insult to ugliness, I have this horrible affliction: anything and everything is pickable, and should be picked. At night, when normal people would be reading a book to wind down, or watching television, I'm picking my face. Seriously, the way I've been digging at my face lately, I'm surprised there's even a chin left. Christmas+Wrapping Presents-Food Bloat/pythagorean theorem x (Square root of 8,500 family parties) + Avagadro's number - number of unwritten pages of next book = zitbeard. Joss and his buddies produced an internet phenomenon called "Dr. Horrible's Sing-Along Blog." It's a sort of parody of superhero stories. And this song below seriously had me blowing snot bubbles. To set it up, the cheesy hero of the blog is "Captain Hammer", and he sings a song called "Everyone's a Hero" which is like saying no one's a hero. He's singing it at a ceremony commemorating the building of a new Homeless Shelter. Seriously, an instant classic in our house. Watch it and let me know what you think. See if it helps your own personal zit-beards. By the way, as I have done with previous ex-boyfriends, I was successful in making the Yuletide gay. I'm off to make the Yuletide Gay (It's harder than you would think), so have yourselves a Merry Little Christmas! 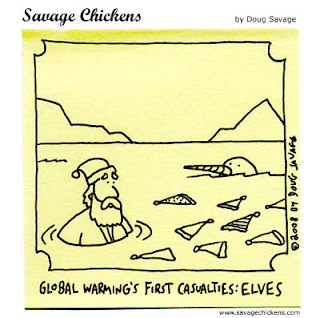 Enjoy the Savage Chickens below. I DEFY ANY OF YOU TO TELL THE DIFFERENCE! Can you tell the difference between these two bottles? 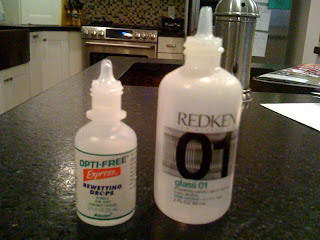 (One is for eye drops, the other is hair grease/gel). I'll let you ponder that for a moment. Do any of you have contacts? Not the networking kind, that would be good if you're trying to sell a novel, but more the kind you stick in your eye every day. So you can see the leaves on the trees. I like to put a drop of solution in my contact before I put it in my eye. I like to have a buffer between the actual contact and my eyeball. So, the other day, I put my left contact in. No problem. Then I put my right contact in, and was met with a searing, burning, acidic sting on my eyeball. So I blink a few times, and think to myself, "That's weird. I must have slept on my eyeball wrong." Because that's how I think in the morning, when my brain has yet to turn on. So I do my hair, and put my mascara on, and get going for the day. Shopping, errands, post office, etc. When I get home, Sam looks at my face with a quizzical expression. S: "What's wrong with your face?" S: "It looks like you have an oil slick running down your cheek. Like a shiner. Did someone pull out the fisticuffs at the store?" So I run into the bathroom, and look in the mirror, and Sam's right. I have a black oil slick running from my right eye down to my chin. And my actual eyeball has turned into a blood-red, swollen, gooey mess. WTH? I reach up to touch the oil slick, and it feels greasy. Like I'm crying tears of black vaseline. And suddenly it hits me. I look at the counter, and these two bottles are sitting side by side, looking, for all intents and purposes, like identical twins. I mean, I actually put two drops of hair grease in my contact, and then shoved it into my eye. And then I left it there! And since hair grease is not readily absorbed by one's eyeball, it spent the morning oozing, and mixing with my mascara, and running down my face. If I was going to get the two confused, why couldn't I have put eye-drops in my hair, instead of putting hair gel in my eyeball? True to its word, however, I do have to admit that the hair gel did "Kick-up the shine and flatten the frizz" on my eyeball. And yes, it does have the warning: "Keep Away from Eyes." Anyone else ever do something like this? Please? Anyone? FOR A GOOD TIME... FIND YOURSELF SOME TWILIGHT VIRGINS! Ted Status: He's alive and well! Newt Status: Newt's threatening to contract a communicable disease if I continue ogling the Mac Notebook. Have you read Twilight? Okay, dumb question, because I bet 99.9% of the people reading this blog have read it. I happen to be good friends with the two ladies who make up the 0.1% of the non-readers. I went to see the movie "Twilight" with these two friends. Seriously, it was one of the funnest, funniest nights of my life lately. Below, I will attempt to recap our conversations throughout the entire show. Most of you know the obsession with all things Twilight, Edward, Bella, Jacob, so hopefully you will find the humor in this. 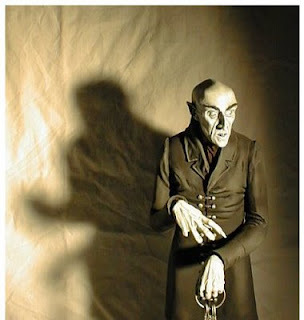 My two friends did have preconceived notions of the book: there was a vampire. His name was Edward. That's about it. Join me, on a tour of Twilight, with the virgins. To protect the identities of Raina and Alissa, I'll call them Lucy and Ethel. L&E: "Okay, there's Edward. He's pretty cute." 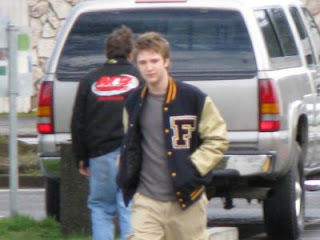 me:"That's not Edward either. That's Mike." L&E: "Oh. Does she end up with Mike?" me: "No. Despite her numerous suitors, she never ends up with anybody except Edward." L&E: "So that's Edward. What's up with the coif?" me: "I think it's sort of like his trademark 'do." L&E: "He looks good straight on, but there's something wrong with his profile." me: "That's in the book. 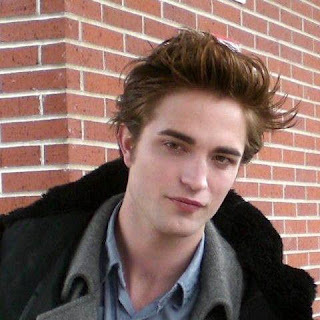 Stephenie Meyer was very specific about Edward's profile being his only flaw." me: "No. Edward doesn't have flaws." L&E: "Is that in the book?" me: "I don't think so. Neither is the phrase "Hang on, Spider Monkey"." me: "Not all of them. 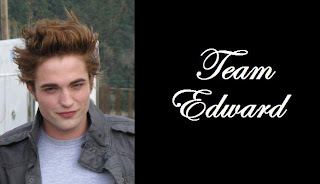 Just Edward." L&E: "Why can't he read her mind?" me: "Ummm, I'll tell you later." L&E: "What's wrong with his skin?" (Edward says it's the "skin of a killer"). L&E:"It doesn't look like the skin of a killer. It's sort of sparkly." me: "I know. I totally agree." L&E: "I thought they didn't eat people?" me: "That's only the Cullens." L&E: "Why is James only after Bella?" L&E: "Does it end happy?" me: "It's Stephenie Meyer. It always ends happy." L&E: "Seriously, does his hair ever calm down?" me: "I think they have paid professionals to make sure that never happens." L&E:"Does he turn her into a vampire?" me: "After she becomes impregnated and bears their hybrid spawn." L&E: "Huh? Vampires can have babies?" Seriously, it was so much fun! So go out and find your own Twilight Virgins (they are hard to spot, trust me, and no, you can't borrow mine). THIS CHRISTMAS MIGHT BE MY LAST? WHO SAYS THINGS LIKE THAT? Book Status: It hasn't been a week yet, has it? Newt Status: I'm trying to keep my eyes on my Newt, but I can't help ogling that sleek little silver Mac Notebook. You know, the one you can put in a manila envelope. Yummm... Sorry Newt! Okay, so there's one Christmas Song that turns me into a completely different person. "Have Yourself a Merry Little Christmas." Did you know the original lyrics went like this? It May be Your Last? Are you kidding me? Who wrote these lyrics? Despite the happier version, I think this is the most saddest, most depressingest Christmas song ever. Literally, it triggers something inside my bitsy brain, and I become instantly alone. Like reeeeally alone. Like Sally, in When Harry Met Sally, when she and Harry aren't talking, and she's dragging her Christmas tree down the street, by herself, and the audience is remembering how great it used to be, how last year she had Harry to help her with the tree, and now she's dragging it. Alone. By herself. No life. No man. Nothing but pine needles in her wake. This song was playing over the loudspeakers at Smith's Marketplace last night, where I was shopping. Alone. I instantly went outside and bought one of their live Christmas trees, and started dragging it, by myself, to my car. But have you ever tried to drag a Christmas tree by yourself in Utah? First, the salesman tried to stop me. Guy: "Wait, Ma'am! Let me call someone to help you!" Me: "No thanks. I have to do this alone." Guy: "But we have free delivery!" Me (walking away dejectedly): "No thanks. I don't deserve free delivery. I don't even deserve a man." A couple more shoppers tried to help me, but I waved them away. Then, as I was crossing the parking lot, a woman with three kids offered to help me. And I wanted to say to her: "Are you serious? Can't you hear the song playing? How are you even upright in the face of such darkness?" How come no one offered to help Sally? Is it a Utah thing? Thankfully, the song was over before I reached my house, because if it had still been playing, my kids would have suddenly transformed into "the little orphan boys that were dropped on my doorstep for me to watch over, because I was alone, and had nothing better to do..."
If you think I'm bad now, just wait til New Years Eve, when all I can think about is everything I DIDN'T accomplish this year. And now it's over. On a brighter note, it is "The Most Wonderful Time of the Year." 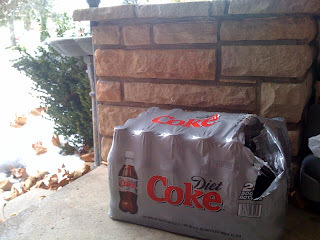 Not only is it the Holidays, but it's the time of year when I can store bottles of Diet Coke on my front porch, and they reach that most perfect frosty temperature so that when you open it, it becomes slightly slushy. If you know where I live, you are more than welcome to stop by and take one. It is, after all, the season of giving. Just make sure you're not singing, or even humming, "Have Yourself a Merry Little Christmas." SPOILERS FOR THE SECOND BOOK... and Anyone Remember Units Clothing? I always keep a notebook on my nightstand. Some of the best ideas seem to present themselves in the middle of the night, and the theory is that if I have a notebook handy, I don't have to fully wake up and turn on my computer. Lately, however, my ideas have not been coming in the middle of the night, so my notebook remained empty. Or so I thought. The other day I grabbed the notebook to write something down, and found that I had four pages filled. In my handwriting. Creepy. Then it hit me! What if the inspiration fairy wanted me to find these pages, and incorporate them in my next book. It's fate! So, below, I present my brilliant middle of the night ideas for my next book... the sequel to ECHO. They are presented in their original form. I will translate in case you can't read my handwriting, and then at the bottom, I will attempt to put these stellar ideas into story form. "I won't share my Pirate's Booty. Chicken Nuggets"
"Music Radiohead Creep. Addicted to Playstation. Units"
"Things we lie about. Shawn Colvin. Portugal. I thought you said Brazil." "I must've broken my toe, unbeknownst to me. You can't break something unbeknownst? It's arthritis." So, I'm thinking, if I'm reading my notes correctly, this story is about an arthritic girl (of course) whose special power is the ability to break her own bones, without her knowledge. We know our heroine has some good taste (Radiohead's Creep) but she also has a nostalgic soft spot for UNITS clothing, so no fashion sense. (UNITS was a deplorable clothing line from the late eighties. If you haven't heard of it, look it up. Hilarious. Apparently, I even dream about that decade). Geography is not her strong point, as she cannot tell the difference between Portugal and Brazil. She is also a compulsive liar. 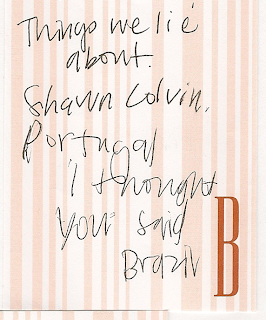 I have no idea what Shawn Colvin has to do with any of this. Story Climax: If you steal her Pirate's Booty, or her Chicken Nuggets, she will unleash a torrent of swear words, so appalling, so shocking, just hearing them will break your own bones. And trust me, the breakage will be very beknownst to you! What do you think? 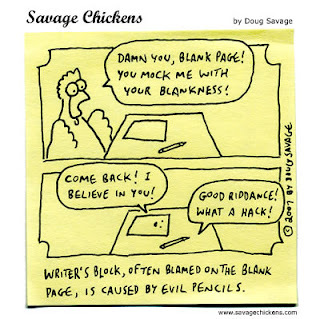 Editors, publishers, please line up in an orderly fashion. You know who my agent is. (Sensei Ted). The bidding war will be conducted by him. I'm not sure what scares me more. The truly crappy ideas that hit me in the middle of the night, or the fact that I've reached a point where I can write them down without waking up at all. The sad part is, what if they were originally really good ideas, but they got lost in translation? Relationship with Newt Status: Newt's been "working late" at nights, so a Private Investigator has been hired to get the "money shot". Okay, so writing romantic scenes. Hmmmmm. Even just typing the above sentence, my face is suddenly turnip red. Wait, are turnips red? Let's discuss turnips instead. Do any of you have any good turnip recipes? Okay, Okay. I digress. I approach romantic scenes in my book the exact same way. Just when the tension gets a little... palpable, my main characters always get sidetracked with the colors of rare and random vegetables. Now I am definitely not talking about the genre-type "Romancity Romance, with a side of romance", because my book is YA. But still... ummmm... they do .... like....date. Once the scene was written, I closed that particular folder, and proceeded to ignore it for the rest of the year. When I finally read it again, it sounded less like two teenagers with mad crushes, and more like two five-year-olds in a sandbox, throwing toys at each other and eating dirt. So I decided to take a lesson from the suave oldies of Hollywood's Golden Years. You can't go wrong with Omar Sharif, right? He had it goin' on, didn't he? So I watched the video below. You only need to listen to the first 20 seconds. And then I returned to my book- the romantic scene- and just when things start to heat up, my book's romantic lead says to the main character, in the spirit of Omar, "I am man, you are woman. Let's kiss." My husband routinely disses musicals, because "Nobody just suddenly breaks out into song." But I learned quickly that some lines, like the "I am man, you are woman..." line, indeed, only sound good in song. So then I turned to the decade that ultimately shaped my entire being, the endurable 80's. I turned on the romantic ballads from that decade, like "In Your Eyes" and "Don't You Forget About Me" and "I've Had the Time of my Life." And the romantic climax of my book went through several crappy drafts, the final version sounding something like this: (I'm just going to call my main characters "Bill" and "Letty" since I don't want to spoil anything). Bill: I gave you my heart and you gave me a pen. Letty: Well, that's because you put me in the corner. Nobody puts Letty in the corner. Shut up and dance. For obvious reasons, I had to find different music. I'm not going to give any spoilers to my book, but I will share the song I finally found that totally shepherd-ed me through writing the scene, and also inspired some of the dialogue in the heartbreaking climax. So I finally finished the scene. But I will say, when I gave the novel to my Dad to read, I took out the schmaltzy scene, and replaced it with a few pages with the words, "One thing led to another, Yadda, yadda, yadda, blah blah blah." Having your own father read a fictional romantic scene that his darling daughter wrote, is another level of an excruciating hell. IT SOUNDS LIKE A NICE STORY AND ALL, BUT WHERE'S THE VIOLENCE?... And a fabulous SNL video, plus an old lady on fire! Book Status: switching from a daily update on status to a weekly update. Okay, so my book is about a teenage reporter in Blackfoot Idaho. Everybody says to write what you know, and so you probably could guess I, myself, was a reporter in Blackfoot Idaho. In a previous revision, Sensei Ted mentioned that my main character, Lane, seems to be a little obsessed with covering violent news stories. I had to laugh, because he was right! She totally looked for the tragedy in every potential news story! Although this trait doesn't necessarily make for a likable main character, I have to admit that it's a little bit true. Not that reporters are violent themselves, or are happy when tragedy strikes others, or are heartless weenies. But tragic stories make for compelling news. It's just one of the annoying truths about journalism. So when teens have licenses to drive, and long straight open roads to drive on, it pretty much means that every week I'll be covering a "death-by-auto-accident" story. Or a "kid falls in a canal and drowns" story. I don't know if it was my non-formidable appearance, or my high, nasally unassuming voice, but for some reason I was often sent to get family reaction post-tragedy. I called it the Death Beat. I really really hated it. I would stick a camera and microphone in the face of grieving family members, and say whatever I could to make them talk. (I think this is where my self-loathing really took root). Anyway, that is why the following SNL video is so dang funny! It's a parody of Keith Morrison from Dateline NBC, (if you want to check out the real Keith Morrison, click here). The humor is spot on! Book status: ummmmmm... book status's are overrated. Yeah. How about some more book gift ideas? BUY BOOKS FOR CHRISTMAS! New Addition: Moonrat has a fabulous, fabulous book buying guide for every type of friend or family member! Check it out here. 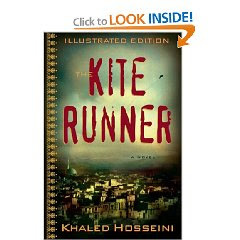 The New York Times published its list of the top ten best books of 2008. Click here to read it! 1. THE ROAD by Cormac McCarthy. My husband is an avid reader, (are good readers ever described as anything else other than "avid"?) Anyway, THE ROAD was his favorite book of the year. And since he's married to me, of course the road is about a post-apocolyptic world, dystopian and dark. 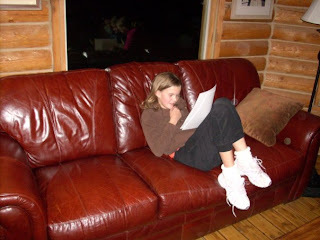 (Eden and I joke that everytime I tell her a new story idea, I always start out by saying, "Okay, so picture it. It's the end of the world, and most people are dead, and .... blah blah blah." 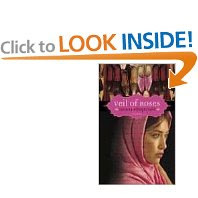 In this pat but sweet attempt at FOB (fresh off the boat) chick lit, Tamila Soroush, a 27-year-old Iranian woman, flies to Tucson, Ariz., to stay with her older sister, Maryam (whom she hasn't seen in 15 years), and Maryam's orthopedic surgeon husband, Ardishir. Tami is there for a three-month stay, courtesy of a visa arranged by her loving parents, who want her to marry an Iranian with American citizenship and stay in the States. Tami concurs with this plan: "being married is a small price to pay if I can stay in the land of Opportunity." But on her way to her ESL class, Tami meets Ike, an affable American working at Starbucks while he raises money to open his own chain of coffee shops. 3. Hollows Series by Kim Harrison (recommended by Karin- she says if you can get past first 100 pages of first book, they are addicting). Start with DEAD WITCH WALKING. "The underground population of witches, vampires, werewolves—creatures of dreams and nightmares—has lived beside humans for centuries, hiding their powers. But after a genetically engineered virus wipes out a large part of humanity, many of the "Inderlanders" reveal themselves, changing everything.Rachel Morgan, witch and bounty hunter with the Inderland Runner Services, is one of the best at apprehending supernatural lawbreakers throughout Cincinnati, but when it comes to following the rules, she falls desperately short." If you've ever paid off one credit card with another, thrown out a bill before opening it, or convinced yourself that buying at a two-for-one sale is like making money, then this silly, appealing novel is for you. 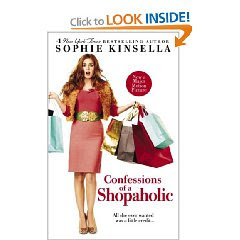 In the opening pages of Confessions of a Shopaholic, recent college graduate Rebecca Bloomwood is offered a hefty line of credit by a London bank. Within a few months, Sophie Kinsella's heroine has exceeded the limits of this generous offer, and begins furtively to scan her credit-card bills at work, certain that she couldn't have spent the reported sums. I must give a shout out to my nieces and nephews. 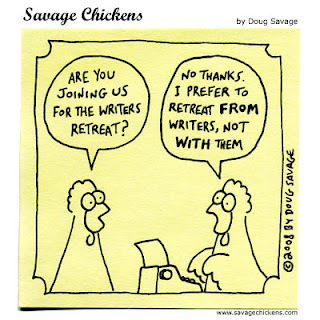 Do you wanna know the best thing about writing for Young Adults? They are so energetic! Those of you who know my family know I have, like, 426 nieces and nephews. Many are teens and pre-teens. Anyway, last night, they seriously made my entire existence! 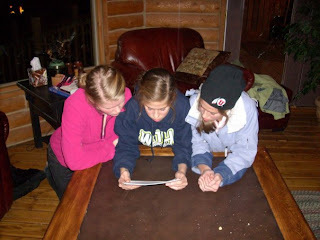 Most of them have now read my book, and at the family dinner table last night they got talking about it. No, talking isn't the right word. More like, they got gooing, and fighting, and laughing, and quoting favorite lines, and gnashing teeth when I mentioned a possible change to the title, and arguing about which ending is better and which boy is cuter, and casting the "movie" version of ECHO, and did I mention QUOTING LINES? I have to admit, I sat back and watched the discussion, and deep inside I was sorta hoping fist-fights would ensue. There is no higher compliment than readers who feel strongly about the characters! Seriously, I got home and my ego couldn't fit inside the door. And then my huge head got stuck in the ceiling, so eventually I gave up and just let myself float toward the sky. Honestly, if nothing else happens with this book, I will still feel complete! Although, when I made a "Sleestaks" joke, they looked at me like I was insanely old, which helped bring me back down to earth. So for all of you who have chosen to block those cherished memories of the best television show of the eighties, or for those of you who are too young to know what I'm talking about, enjoy the following video. And take note of the stellar special effects! Krofft Kwikies - Land of the Lost "Sleestak God"
Book status: Sensei of Cool Ted is working his magic. I am waiting patiently, trying not to infect any more computers. So, my little Newt pulled through. Survived. And it's been... ummmm... awkward between the two of us. 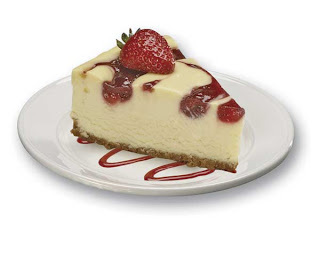 I couldn't quite put the feeling into words, until I remembered the parable of the licked cheesecake. Do any of you know it? It was told to me when I was on the verge of teen-hood, and one of my church leaders sat all of us hormonal preteens down one evening for a special night of fables. 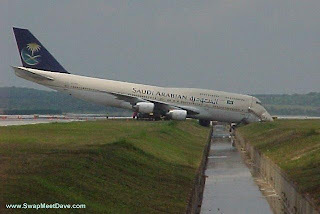 The way he put it, as we got older, it's like we received Boeing 747's, and yet, we didn't have our pilot's license. Even though it looks like fun, and the jet is parked in our driveway, do we really want to try to fly it? And risk the hundreds of lives in the cabin of the plane just for the one moment of... ummmm... flying it? Then they passed around a plate of oreos, instructing us to each take one. Only one of the oreos had a bite out of it! Disgusting! 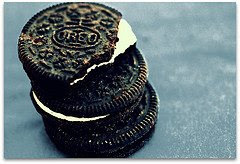 Of course, by the time the plate had traveled the entire room, every oreo was taken except for the one with the bite. Poor little bitten oreo. All alone. No friends. No Gooey middle. All she has left is a bad reputation. But the highlight of the evening was the parable of the licked cheesecake, and this story has stuck with me for years and years. Apparently, deep inside, we are all pieces of delicious cheesecake. When we turn 12-years old, we receive the gift of strawberry topping. Now, here's where it gets scary. Sometimes, as pieces of cheesecake, we can make really stupid decisions. Like hanging out with the dark chocolate cake, or messing with the sinfully gooey caramel turtle cakes. Anyway, apparently when we do this, our strawberry topping systematically gets licked away. Licked away! Gross! Once the cheesecake realizes what she's done, it's too late. Frantically, she plants her own strawberry fields, and tills the harvest (does that even make sense?) so she can make her own special strawberry sauce. She works and works, cooking and adding gelatin, and sugar, and waits for it to set in her refrigerator, until that happy day when she can drench herself in the strawberry topping once more! Sadly, her desperate work is all for naught. Because as pretty as she looks covered in her homemade strawberry sauce, no matter where she goes, she will never be able to escape the fact that underneath it all she is just licked cheesecake. And licked cheesecake is all she'll ever be. And no one will want to socialize with her, because that's disgusting. Undeniably, it had been the most entertaining night of my twelve years thus far. The stories were compelling enough, but I had to admit, I didn't know what the blazes they were talking about! I never wanted to be a pilot, I really didn't care for oreos, and as for the cheesecake, well let's just say that if my neighbor's dog had licked it, I'd still eat it! At the end of the evening, they served cheesecake for dessert. Many people were hesitant to dig in, so I just ate their pieces for them. Clueless as ever. I finally understand the moral of the parable of the licked cheesecake. My church leader had been talking about computers. 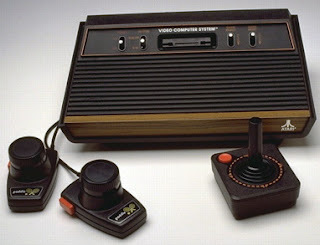 (Of course, at the time, they were only Atari's). But he was so brilliant, he could see where the future of computers was going, and he was warning me to keep my laptop away from FTD's. (Facebook Transmitted Diseases). Guard your Atari: Use Protection! Because now that my little Newt is supposedly "cured", and everyone keeps telling me that there are no traces of the nasty virus, I can't help thinking of little Newt as licked cheesecake. Sure, he looks all pretty on the outside. But I wonder, how much of his gooey center has been licked beyond repair? And who's been licking it? What kind of germs are hiding out in his gooey center, just waiting for me to make one mistake? So yes, I am blogging from Newt. But I feel a little dirty. I can't help it. Excuse me, I have to go take a shower. And I'm suddenly craving Cheesecake. Here's your hyperlink for today. 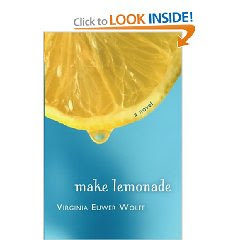 This book is a great read for Young Adults and Adults! It should have topped my previous list. Starred Review. 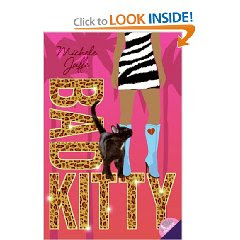 Grade 9 Up–Zusak has created a work that deserves the attention of sophisticated teen and adult readers. 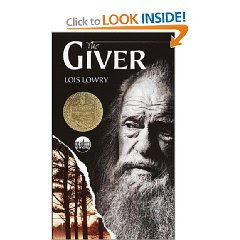 Death himself narrates the World War II-era story of Liesel Meminger from the time she is taken, at age nine, to live in Molching, Germany, with a foster family in a working-class neighborhood of tough kids, acid-tongued mothers, and loving fathers who earn their living by the work of their hands. Sorry for the blogging pause of late. My poor little laptop (dear little "Newt") caught a nasty worm. I thought he had bought it for good, but like the stubborn little hard drive that he is, he continues to hang on, like on life support in a coma, and I sort of feel like I am cheating on him by resorting to the big nasty desktop to blog. Okay, so I'm a little insane about my laptop. And I'm the one who nearly killed him in the first place. It's all so embarrassing. Maybe I shouldn't share... well okay. It all started two days ago (remember when I was complaining about how all the hyper-linking on our book list was making me a little crazy?) so I'm too brain-fried to write, and I've only checked on my emails for Ted like 28 billion times, so I decide to go on Facebook. I get an innocuous little message from a friend. And I'm going to be totally honest about this, since an unsecured blog is the perfect place to divulge my innermost secrets... Anyway, the message says, "Subject: You look surprised, it was our lovely spy camera!" Now I know what you all must be thinking: step away from the computer! Just walk away, Brodi. Walk away. And this is where it gets a little out-of-body-experience for me. I start thinking to myself, "man, people can be such idiots." But at the exact same moment, as I'm thinking only fools would fall for this, my traitorous pointer finger clicks on the link. And then I'm deleting like a mad woman, anything and everything that pops up, trying to stop the freight train of worm filth. My mouth hangs open for a few long seconds as I stare at the screen. What have I done? (she screamed as she fell to the floor, wringing her hands and scratching her face like a heroine addict). Remember, total truth. But, for a moment, the screen looks okay. Crisis averted, right? Of course not, because this is me we're dealing with. Suddenly, hundreds of little warnings pop up, showing little stick figures with the x's in their eyes, and then more stick figures pop up, and one stick figure grabs a stick knife and beheads the other stick figure, and dismembers his stick figure dog, and holds the dogs head up on the screen for me to see, and he is laughing and taunting and shaking the severed head at me. A little word bubble pops up next to the stick figures mouth, and it says, "We're watching you, and every key you strike will be recorded. Welcome to cyber-purgatory, Biiyyyaatch!" And all I can think about is my book. Not the one Sherpa Ted has, but the next one. The one I've never emailed to myself, and never backed up. The one I've been working on since Ted was born. I mean, since Ted became my agent. Like a woman possessed, in one single motion, I grab a CD, burn my book, flip off the wi-fi, and look frantically around my kitchen for the phantom worm, who I'm sure must have cameras installed by this point. Then I call Sam. And let me preface that, at the time, he didn't understand how I felt about my little "Newt". He does now. Sam: "You clicked on WHAT???!!!" Brodi (in tears): "Something about, if you want to save this little boy, starving in Africa, click here." Sam (incredulous): "What did it really say?" Brodi (grudgingly): "Subject: You look surprised, it was our lovely spy camera!" Sam (after long pause): "Bro, that's like me clicking on a link that says, 'Hey! I captured this great pic of you and Paris Hilton!" Brodi: "I know, I know." Sam: So what do you want me to do? Brodi: I want you to leave work early, and run as fast as you can around the earth until it starts rotating the other way, and time reverses, and I don't click on the button. So anyway, Sam declined to petition the Governor for a state of emergency, and instead I spent the entire day cradling my dying little Newt and chatting with my old high school computer geek friend who was trying to walk me through the steps to quarantine the SOB . Come to think of it, why have I been crying for two days straight over this? Because he's my little Newt. And he won't just die a quick painless death. He's hanging on, for me. When my Dad was in the hospital, fighting for his life, little Newt got me through. But he's failing fast... and I've cheated on him with the bigger, badder desk top. I know, I know. It's only a laptop. It's an "it". I know this. I do. Will compile list of Adult Reads and Middle Grade reads soon. 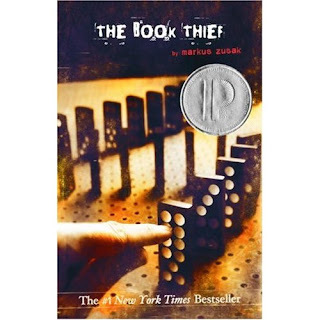 Should have added THE BOOK THIEF to the Young Adult list. It's finally here... THE YOUNG ADULT BOOK CHRISTMAS LIST! So, we have gathered some great suggestions for our Young Adult Christmas Book List! (Thanks for the idea, Heather!) I'll cover the Adult and Younger Children (Middle Grade and picture) books in the next post, so if you have suggestions for those lists, add them to the comments. 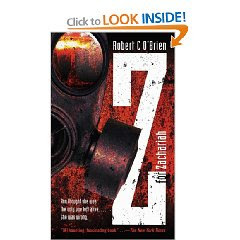 A gripping story about the survivors of a nuclear holocaust, by a Newbery Medalist. Ages 12up. In a world with no poverty, no crime, no sickness and no unemployment, and where every family is happy, 12-year-old Jonas is chosen to be the community's Receiver of Memories. There are some strong opinions about this book, so read about it before you buy! 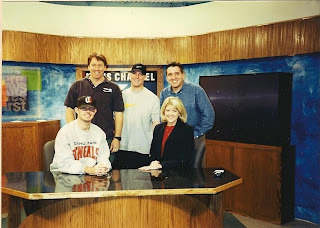 Total blast from my past. I grew up on these books! Fabulous series. The following is from my sister author Bree Despain's blog. She lives on Young Adult literature. No, really, she eats a book for breakfast, one for lunch, and then she writes her own for dinner. I also have a great story about how high heels permanently damaged my foot, but I'll have to save it for later. Did I mention the work with the hyperlinks? I won't be able to look at a computer for at least a day! VAMPIRE BEAUTY PAGEANTS... What do you mean I need to get a life? So to pass the time, I am catching up on my trashy magazines. The cover stories are always fantastic! 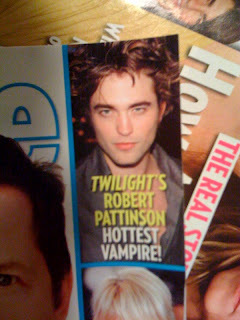 For instance: Rob Pattinson just won the title of sexiest vampire, in a barn-burner that came down to the wire. He wins the GOLDEN TROPHY! 3. 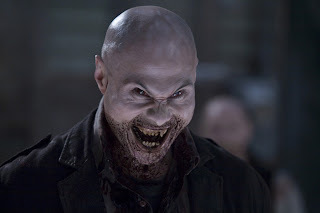 Rounding out the top three was the vamp from 30 Days of Night. You know, the one who cleverly disguises his recent blood bath as a five-o’clock shadow. In further distressing news, Eddie Murphy’s mug from Vampire in Brooklyn didn’t even make the top ten! It’s an outrage! I demand a recount. I still haven’t gotten around to cleaning my house. Here’s the sad proof. Take a look at this picture: It’s a five dollar bill. On the floor. It’s been there for days. In the same place. That’s practically like someone is bribing me to clean my floor! And yet, it remains in place. Instead, I take a picture and spend 45 minutes blogging about it. Again, let me push BOOKS for Christmas Presents! I may not be a clean freak, but I am a book freak. Books are literally works of art for me. I love to finish a good book with no evidence that anyone has even opened it! If Sam wants to get on my bad side, he need only "bend the spine". 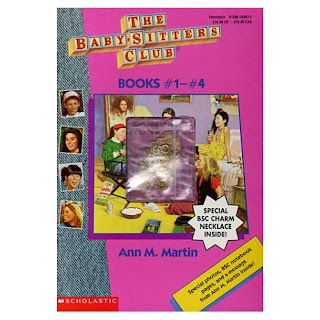 In the last post, we had some good suggestions for Young Adult books. 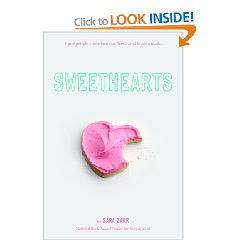 (Meg Cabot's Mediator series, All-American Girl series, Sweethearts by Sara Zarr). Anyone else have suggestions? For Adults or Children? Anyone read anything good lately? Please share! And buy your friends and family "works of art" this Christmas!